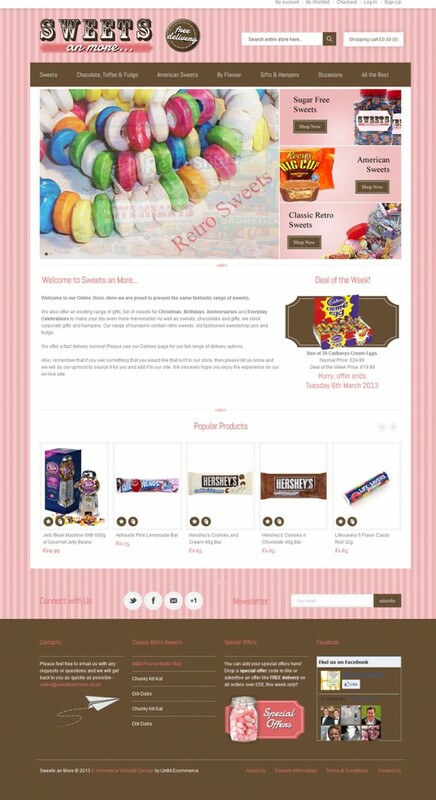 Sweets an More came to us for their Ecommerce website design and logo design. As a start-up company we had to take on board the visions of the client for their branding and company image. We also had to take a very detailed brief for the Ecommerce website design as the client had some very specific requirements. The corporate branding follows a traditional sweet shop theme with a fun and retro feel to it. To achieve this we had researched classic sweet shop logos through the years and put together a lovely colour pallet, pairing together a very traditional wood brown with a light, funky pink. We feel the mixture of the two styles has worked perfectly and this have us a great brand to work with for the Ecommerce website design. 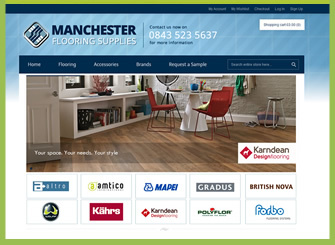 The client needed a full content management system to give them access to add, delete and amend their products. We have given them an easy to use system which allows them to do all of this and more. 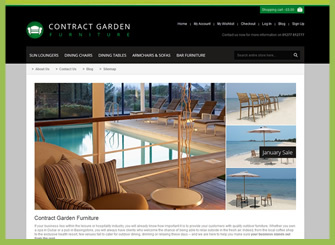 Our Ecommerce CMS system also allows the client to manage the static areas of the site to manage elements such as homepage text, special offer banners and the SEO friendly links we have included throughout. The Ecommerce website itself is very easy to use. With so many different categories of sweets available, we had to put together a simple menu system that would allow customers to find exactly what they are looking for with ease. 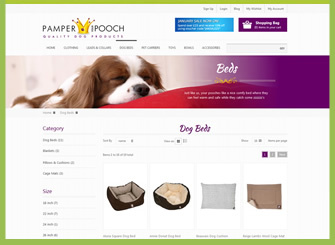 This has been a great Ecommerce website design project to work on and with addition of some great plugins to enable the store to sell the products directly through Facebook, Amazon and Ebay. I’m sure this start up will be a huge success. If you are looking to have your own Ecommerce website designed please contact the Unltd Ecommerce design studio today on 020 3544 8132 to discuss your requirements.